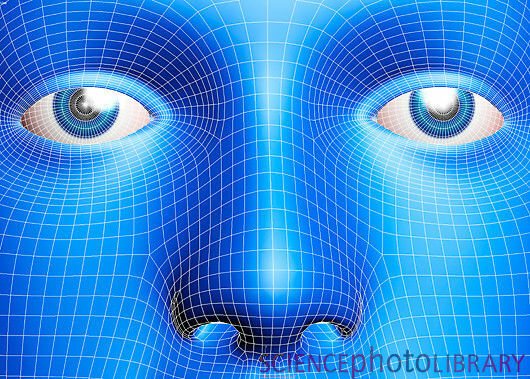 Face recognition software of the kind incorporated into biometric identification tools, photo-gallery applications and social media websites can be very useful but the technology raises privacy concerns, given the seeming ease with which faces in photos can now be tied to an individual. Researchers in Russia and Poland hope to take face recognition technology an important step forward with the even more powerful software they have developed. Newfound world is off-the-charts dark—and the cause is a mystery, experts say. The newfound gas-giant planet TrES-2b is black with a slight red glow, experts estimate. It may be hard to imagine a planet blacker than coal, but that’s what astronomers say they’ve discovered in our home galaxy with NASA’s Kepler space telescope. Orbiting only about three million miles out from its star, the Jupiter-size gas giant planet, dubbed TrES-2b, is heated to 1,800 degrees Fahrenheit (980 degrees Celsius). Yet the apparently inky world appears to reflect almost none of the starlight that shines on it, according to a new study. “Being less reflective than coal or even the blackest acrylic paint—this makes it by far the darkest planet ever discovered,” lead study author David Kipping said. 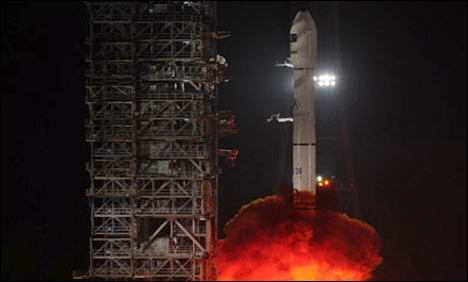 XICHANG: Pakistan successfully launched into space its state-of-the-art PakSat-1R communication satellite here from Xichang Satellite Launch Center in southwest China`s Sichuan Province, late Thursday night. A select group of senior Pakistani officials witnessed the Long March-3B rocket successfully carrying the communication satellite from the launch pad here with rounds of applause and jubilations visible on their faces. Prominent among those present included Director General SPD Lt. General (Retd.) Khalid Ahmed Kidwai, Foreign Secretary Salman Bashir, Pakistan`s Ambassador to China Masood Khan, Secretary Defence Lt. General (Retd) Syed Ather Ali and Chairman Space and Upper Atmosphere Research Commission (SUPARCO), Major General Ahmed Bilal, besides senior officials from the Chinese government. Like scars that remain on the skin long after a wound has healed, earthquake fault lines can be traced on Earth’s surface long after their initial rupture. 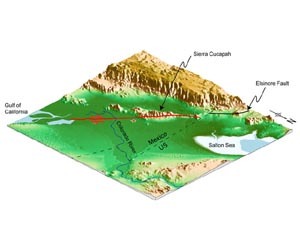 Typically, this line of intersection between the area where the fault slips and the ground is more complicated at the surface than at depth. But a new study of the April 4, 2010, El Mayor-Cucapah earthquake in Mexico reveals a reversal of this trend. While the fault involved in the event appeared to be superficially straight, the fault zone is warped and complicated at depth. Electronic skin tattoo has medical, gaming, spy uses-Mark of the Beast? A hair-thin electronic patch that adheres to the skin like a temporary tattoo could transform medical sensing, computer gamingand even spy operations, according to a US study published Thursday.